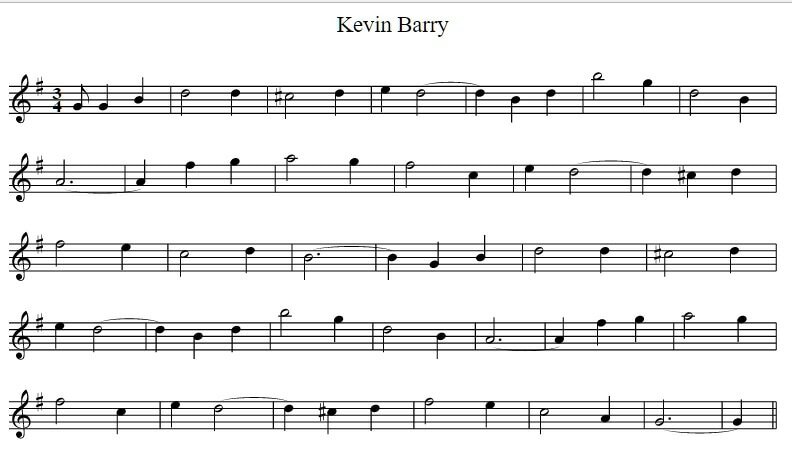 Kevin Barry lyrics and chords. I have included the several versions of Kevin Barry here. The first is an anonymous and the one that's most popular. The sheet music for the popular version is included along with the tin whistle notes..
Kevin Barry was born in Dublin on 20 Jan.1902, He joined Feinna hEreann after hearing about the death of Thomas Ashe from being force fed while being on hunger strike, He joined the First Battalion of the Irish volunteers and on the 20 September he took part in an ambush on British soldiers at the junction of North King St. and Church Street Dublin. His comrades escaped and Kevin was wounded and captured.He was hanged in the hang man's yard of the prison and buried within its walls on Monday the 1st of November 1920. 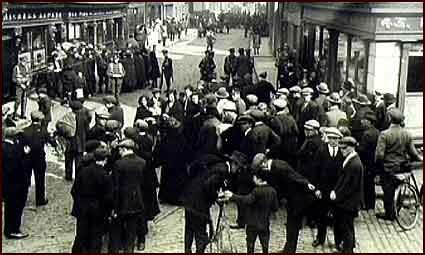 No members of his family were permitted to attend the funeral.The photo below was taken just after Kevin Barry was captured. Along with the Wolfe Tones the song was also recorded by The Irish Brigade, The Clancy Brothers, Paul Roberson, Christy Moore and Hank Locklin. British soldiers tortured Barry because he would not tell. "Turn informer and we'll kill you". Kevin Barry answered "no". Lads like Barry will free Ireland, for her sake we'll live and die. Of a brave young Irishman's cruel fate. And Kevin Barry is the brave lad's.name. When scarcely eighteen years of age . To free his country from a tyrant foe. And sentenced to die on the gallows tree. A pardon will be granted and we'll set you free. rather die than to foemen bend. Have they hanged him, Father? his comrades cried. He's gone, hut a braver lad never died. Did we not know you lived beyond the skies. Many shall plead with you in the realms above. Every Saint of Eirinn stands by your side. How do you wonder, boy, that our hearts are glad. That power hath idly sought to link with shame. With him who mourns where martyred virtue lies. The bugbear of the brainless multitude? That damns the patriot and defiles his cause? To the frail frame their torture may apply. Be praise or blame — be weal or woe his lot. And virtue stands in every change the same. Let not the hangman's hand, the headman's below. and truth be heard in whisper, o'er his grave. he longed, he hoped — he tried to make her free. Again they'll meet in God's fair Home above. The scene is ever in their hearts enshrined. His prayers ascend with faith and love untold. We offer up his sacrifice with Thine. When Kevin's soul flies to the Mercy Seat. Anon. This poem was found in manuscript form among the papers in the possession of Triona Maher. These papers were owned by her mother, Shela Barry, and her grandmother, Mrs. Mary Barry. The poem has not been published before, nor is its author known. It clearly was writtrn soon after Kevin's execution. The acolyte is kneeling at his post. But the acolyte, how firm his `Holy Ghost'. The Elevation chimes sound like his knell. Is kneeling to receive his Master now. Haste, Father, haste, it's almost time to go. Lead forth your acolyte to meet his fate. Embraces death — that Empire's might defying In prison dark, unsteeled by battle's hum. Kneel, Father, kneel, a martyr's hour has come. Will soon be numbered with the dead. Sound the last post as he falls. Pen it on the martyr's scroll. But, listen a minute, and then be on your way. With a ready smile, like you, and a ringing laugh. Ask your fathers, they'll tell you the times were bad. Ah! You've heard the name before — so well you might. He fought and lost and was captured in the fight. Young Kevin Barry. May his soul be with God on high. No: Don't look sad, boy: Come, it's pride you should feel! Gave everything, even life, that you might be happy to-day. Here's the tin whistle notes, which are a simplified version of the sheet music. Capital letters are the low notes up to the B and the high notes are the lower case letters after B. Here's the Wolf Tones version of the guitar chords. Tommy Byrne sings this in the key of C.
To Our Lady of the Sorrows they are pleading As a youth of tender years walks out to die. God comfort his poor weeping mother there. The little wayside crosses still remind us, How brave men died to set their country free. Saying a fervent prayer 'ere morning found me, For the lad who died for Ireland long ago. Cold in the dawn of day. Who was so young and gay. Then from the Altar spoke the priest. He faced that day with pride. Saw Death the Gate of Heaven. His end -- a felon's grave. 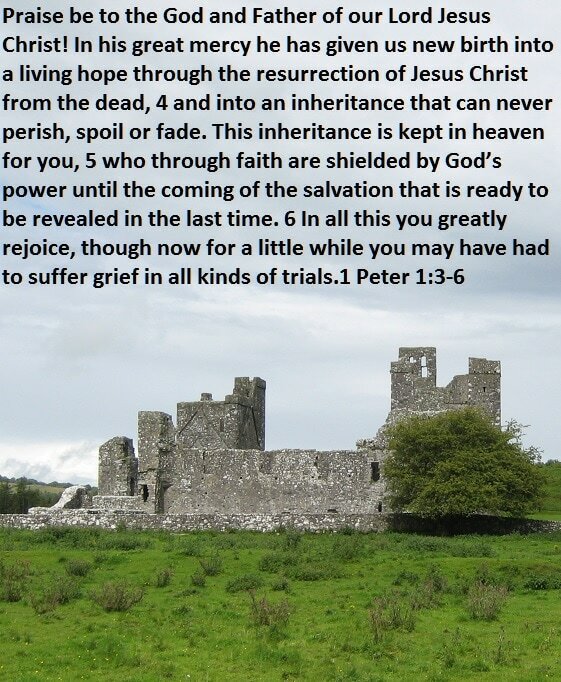 With us he lives alway. He lights for us the way. Knot the rope for Kevin Barry. With the devil's wiry guts. From the soul of Kevin Barry. Autumn keened for Kevin Barry. For the kerb of Golden Lane. Choked the fire from Kevin Barry. Lissom ships, towards a Dawn Lit to honour Kevin Barry. While they haltered Kevin Barry. Sang the winds round Kevin Barry. Had walked round about the gaol. Comrades these of Kevin Barry. To the young lad, Kevin Barry. Swinging at the gallows' head. Who will weep for Kevin Barry? On your body still, though, your spirit still lives in the Land beyond the skies. The path you tread of the martyred dead, that we shall follow too. To strike a blow at the mighty foe, your own dear land to save. Nor the cruel blows of ruthless foes could your young soul -subdue. You preferred to die, on the gibbet of Mountjoy and to vindicate the..
Ere you'd bow your head in fear and dread of the tyrant alien laws. With that courage pure that can endure, that we shall follow too. Words and music- by Richard Clarke; music by John Stanley. tortured - reviled! Yet victor to the death. Much is promised to even one brief prayer. Should see his life in anguish ebb away! Whose voices raise in never-ending song! The brave young heart stilled on your festal day! The thorn strewn way that leads direct to God! `There was a most touching and dramatic incident in the prison cell on Sunday, when, between 4 and 5 o'clock, the prisoner's mother and sister saw him for the last time. He was quite calm and composed. He put on his trench coat with belt, as the nearest semblance to a soldier's uniform in his possession, and when his relatives had bid him good-bye, he stood to attention and gave his mother a military salute. As she passed, with her daughter, down the corridor and looked back, the last thing she saw was the prisoner standing to attention'. In the shadow of the dreary prison cell. For to her he's never grown up — he's but a baby yet. The glory of your going. Pass the time. For love of country, freedom, honour, truth. This godlike sacrifice of youth — they soon forget. A Land of Promise floats before their sight. Perish the thoughts that lead but to the skies. They shrivel up — not you, but they, are dead. To `British Brothers' sharing Britain's debt? Seemed glad they had a country fit to sell. Friendly to all, sole masters of our fate. Until in Freedom we may speak your name.